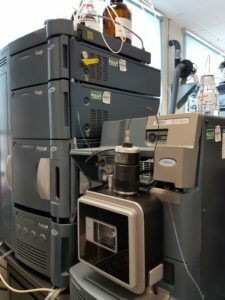 The ACQUITY UPLC-Xevo TQ-S micro system at King’s Liver Laboratories. To achieve this, it’s helpful if the laboratory has a good long-term relationship with an instrument provider. King’s Liver Laboratories benefits from such a relationship with Waters. 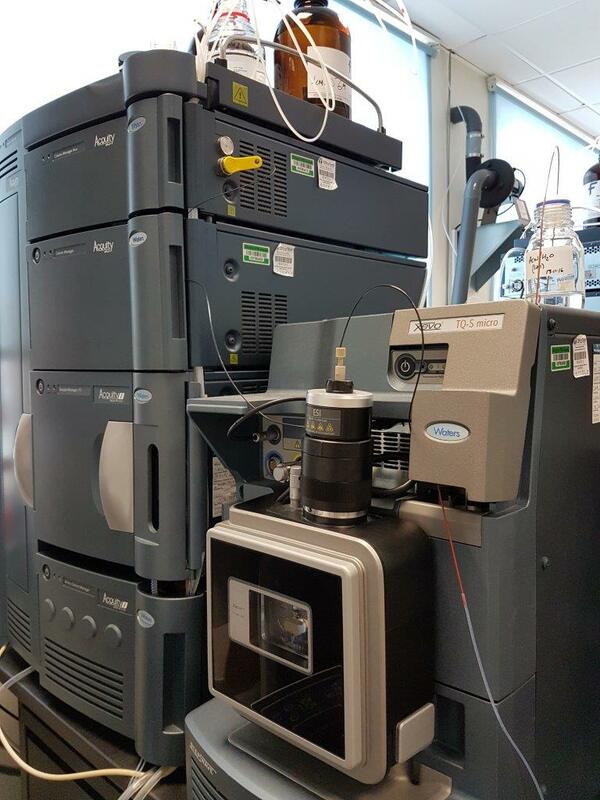 As part of the Institute of Liver Studies at King’s College Hospital, the facility processes about 23,000 diagnostic tests per year using a variety of analytical techniques, including tandem quadrupole mass spectrometers for Immunosuppressive Drug Monitoring (IDM) services. They have used three generations of Waters MS products and are currently using ACQUITY TQD, Xevo TQD, and Xevo TQ-S micro systems. The Xevo TQ-S micro has been particularly important to the lab thanks to its increased sensitivity, which allows access to lower analyte concentrations and alternative sample matrices. Typical turnaround times for samples submitted for IDM are 24 hours – so it is easy to see why any downtime can significantly impact this laboratory’s success. In fact, being able to ensure continuous results turnaround is so important that King’s Liver Laboratories have invested in multiple instruments. 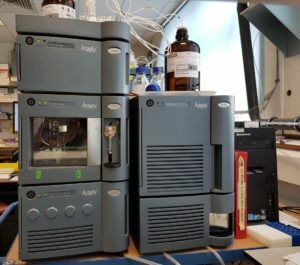 The ACQUITY UPLC-Xevo TQD system used for for immunosuppressive drug monitoring at King’s Liver Laboratories. As explained in Fionn Quinlan’s previous blog post on therapeutic drug monitoring, LC-MS/MS is a more specific test than immunoassay and so is less likely to result in over-reporting of drug concentrations in samples, particularly when metabolites, which are resolved by MS but not by immunoassay, may be present at similar levels to the parent drug. The increased usage of LC-MS/MS in clinical laboratories worldwide means that this cutting edge technology will improve healthcare for many more people in the future.